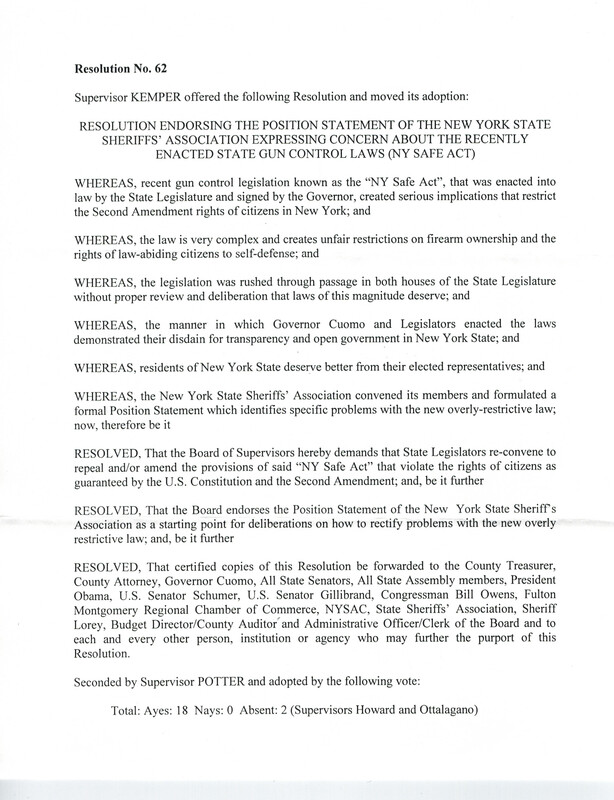 Fulton County resolution opposing NY SAFE act. Passed 18-0 with 2 absent. This entry was posted in Resolutions, Resolutions opposing and tagged FultonCounty, Passed. Bookmark the permalink.